The Mahoning Valley Burger Review Board (MVBRB) guys took a cruise to Up A Creek (Howland) this month on their quest to find the best burger in the area. This is a very family friendly eatery with a different special every day and a very tasty burger for any occasion. While there are televisions throughout the place where you can have a beer and catch a game, the atmosphere of the restaurant is set up so you can enjoy a good meal and a nice night out with friends and family. We took our table and readied ourselves for a delicious burger experience. Our waitress, Angela Alberini, guided us through our meal keeping our drinks fresh and ensured our burgers were made to our satisfaction. The menu offers seven tempting burgers: the Fat Burger (lettuce, tomato, onion, pickle and special mayo), the Black N Blue Burger (with crumbled blue cheese), the Texas Style Burger (cheddar cheese, BBQ sauce and tumbleweed onions), the Roasted Garlic Mushroom Swiss Burger (Swiss cheese and mushrooms sauteed in garlic), the Port Wine Burger (marinated in port wine, caramelized onions, blue cheese on a ciabatta bun), the Creek Bourbon Burger (smoked bacon, pepper jack cheese, Kentucky Bourbon BBQ sauce, onions) and the Guinness Burger (caramelized onions, smoked bacon, Guinness cheese sauce on a ciabatta bun). 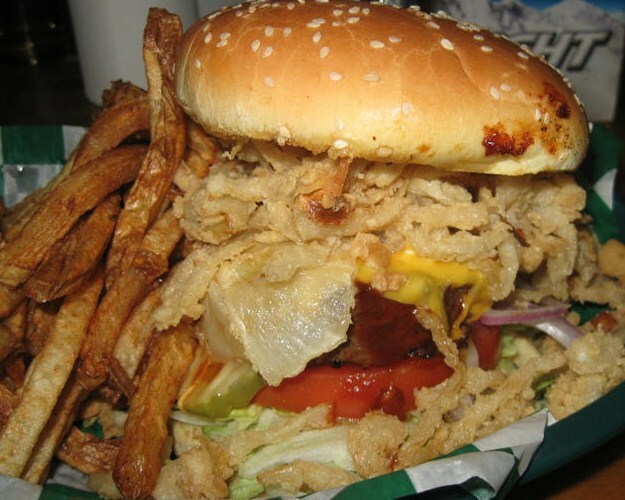 We all agreed the half-pound burgers and the side of thick cut fries are served in generous portions. Everything about the meal was good, but a few minor changes would make the burgers even better. The Burger Guys feel using a leaf lettuce instead of the shredded lettuce, and toasting the bun, would really add to the burger. But those are just personal preferences. This is a great tasting burger either way. Overall, the burgers have an excellent flavor and you get a lot of food for the $5.99 price. 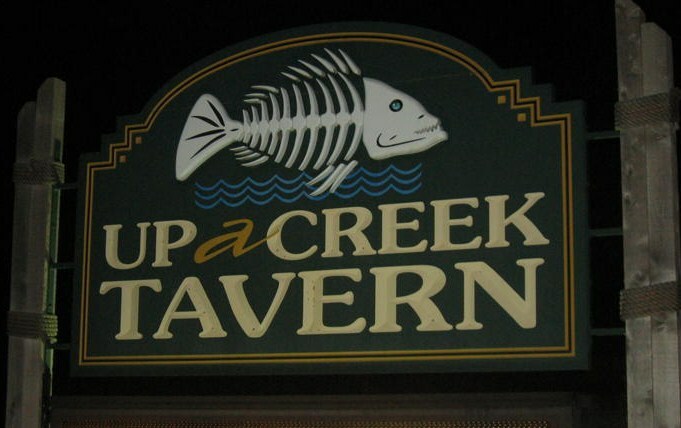 When you go, bring your appetite and enjoy a great meal. If you find yourself Up A Creek, don’t grab for a dusty old paddle, but get a delicious burger to enjoy while your adrift. 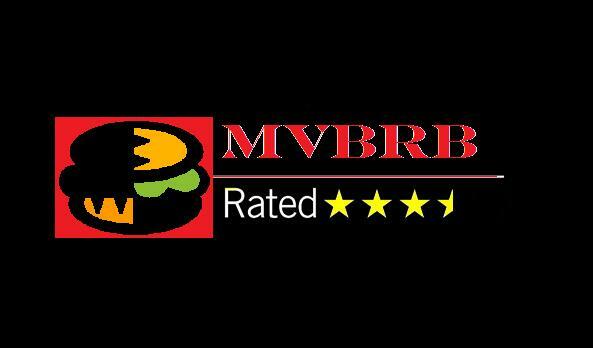 Keep sending those burger suggestions to mvbrb@hotmail.com, or leave a comment on the Hamburger Review Board’s Facebook page. Also, check out http://www.burgerguyz.wordpress.com for all the up-to-date information on the group.